‘Bond Stone Cleaning’ are the premier natural stone restoration specialists in the UK. 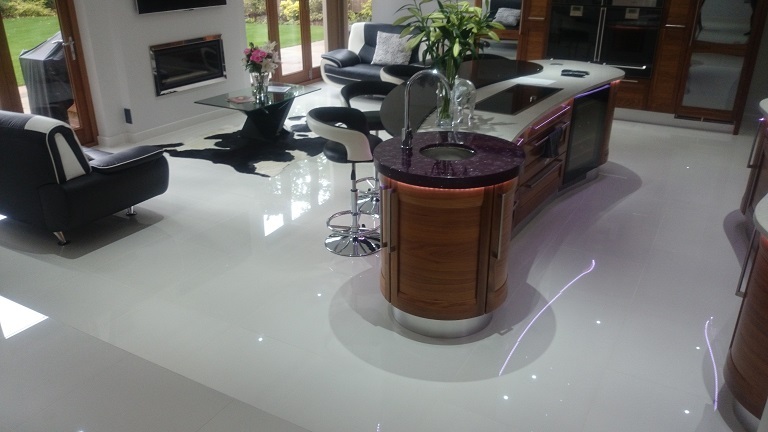 Specialising in cleaning, polishing and the restoration all types of natural stones, Marble, Travertine, Limestone, Granite, Slate as well as Porcelains and ceramics. Please select the type of stone you have above for more details. 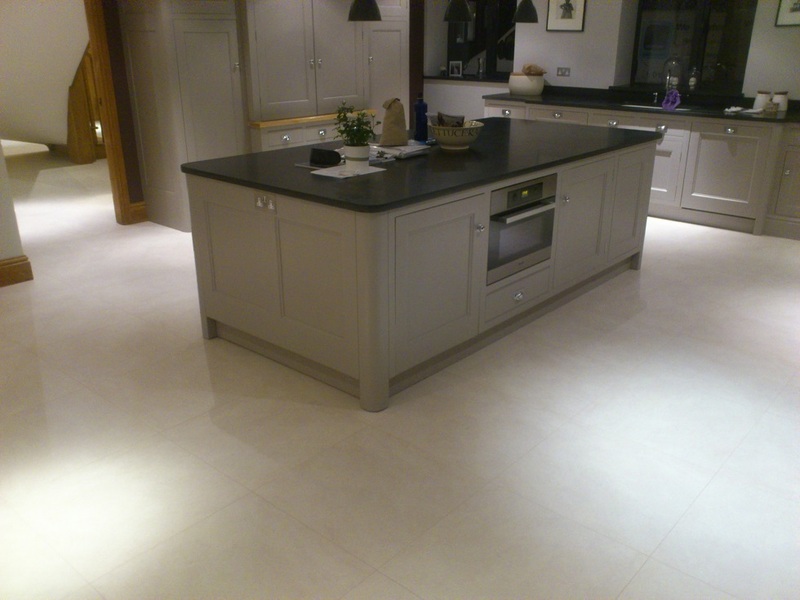 With many years experience in restoring all types of natural stone floors for both the domestic and commercial sectors. 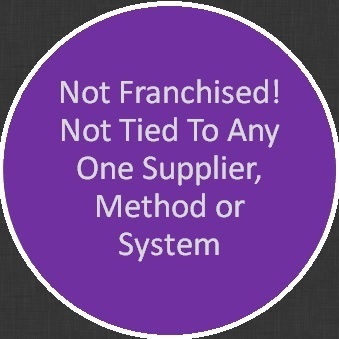 Having offices both in the South and North of England means they cover most of the UK. Bond Stone Cleaning use a variety of processes and systems to ensure the right results, as well as having an eye for the finer details of stone restoration. 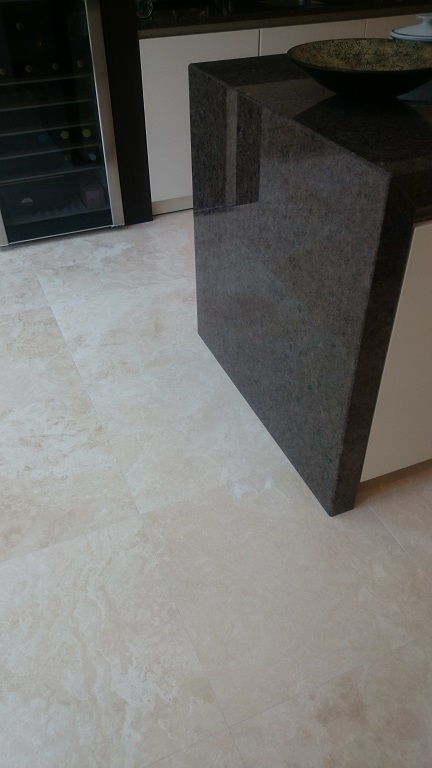 Bond Stone Cleaning are NOT franchised and are NOT tied to any one process, system or supplier so they ensure the best results for Marble, Limestone, Travertine, Slate, other natural stones as well as porcelain and ceramics. They also pride themselves on a clean, non-invasive dust free professional service superior to others in the industry. 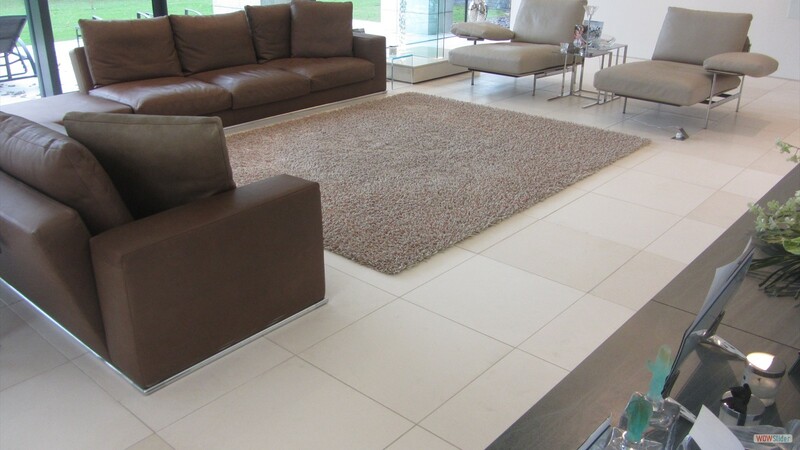 Travertine or Limestone Travertine comes is a wide variety of colours and patterns. 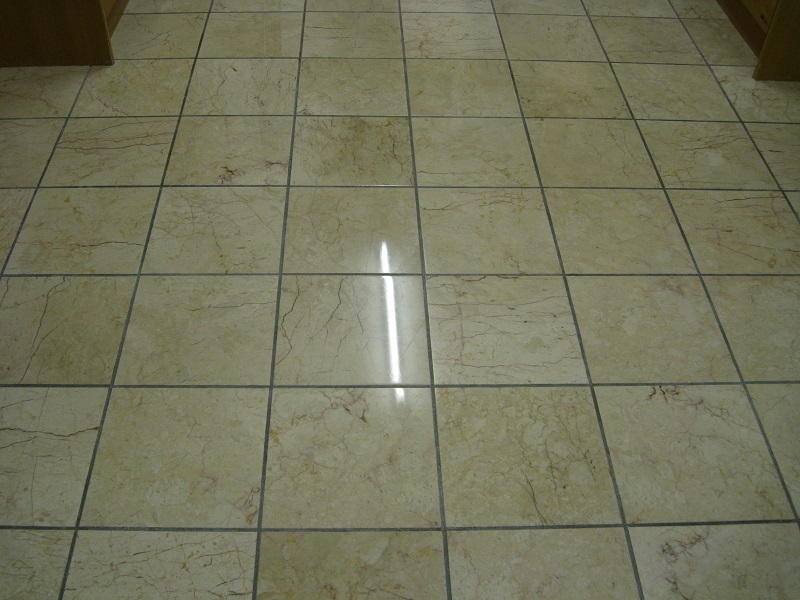 It is common for Travertine floor tiles to become dirty, dull and for cracks and holes to appear over time. 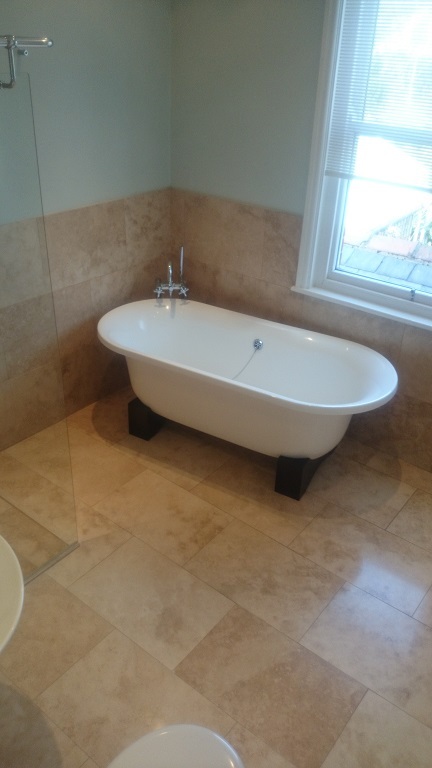 The good news is that Travertine is relatively easy and cost effective to restore and can be cleaned and polished back to like new, see our testimonial page for comments from many happy customers. Once restored and sealed properly and with the use of the right products for regular maintenance cleaning, your floor will look good for years to come. 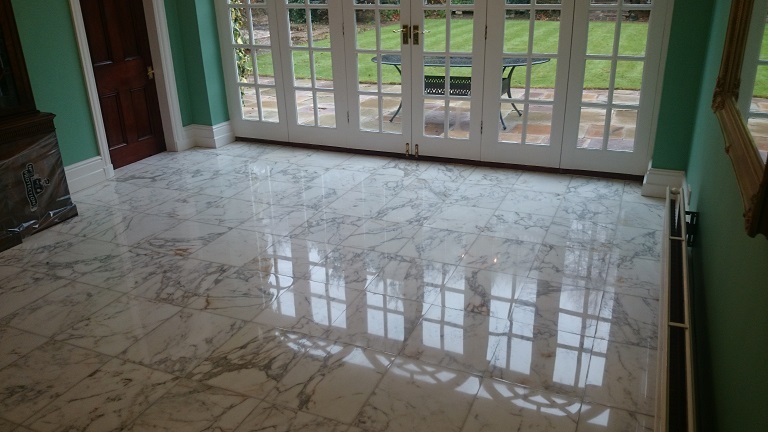 Porcelain & Ceramic Floor Cleaning: Although a hardy floor type over time both porcelain & ceramic floors and their grout lines look dirty and need deep-cleaning and for some porcelains re-sealing. 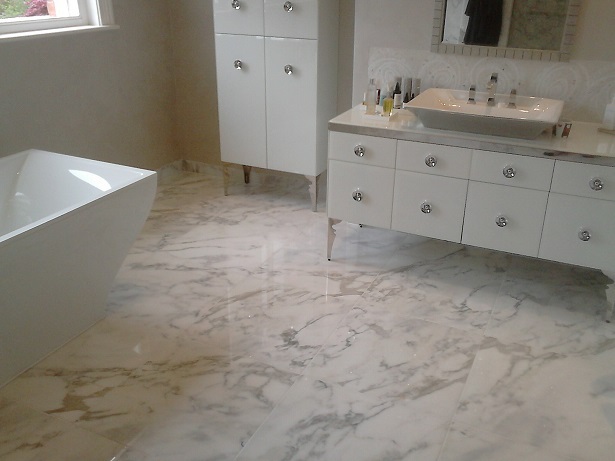 Marble is a high quality flooring material however it is a soft stone and will dull and dirty over time. 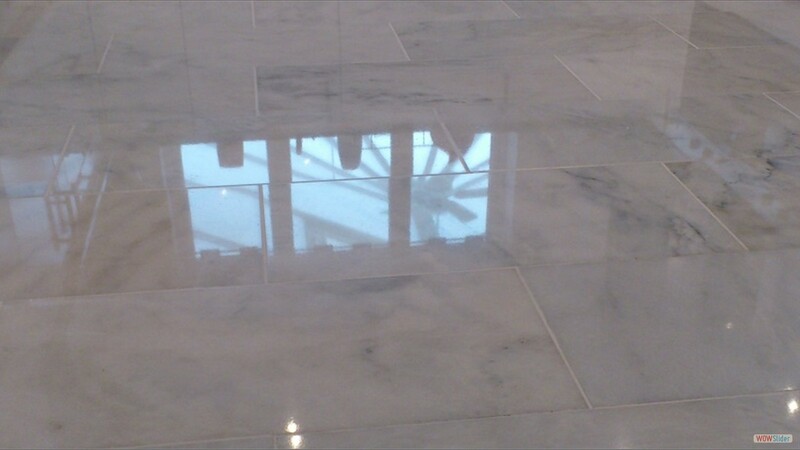 Marble cleaning and polishing brings your floor back to how you remember it. You choice the finish you want, from a honed matt finish to a glossy high shine. 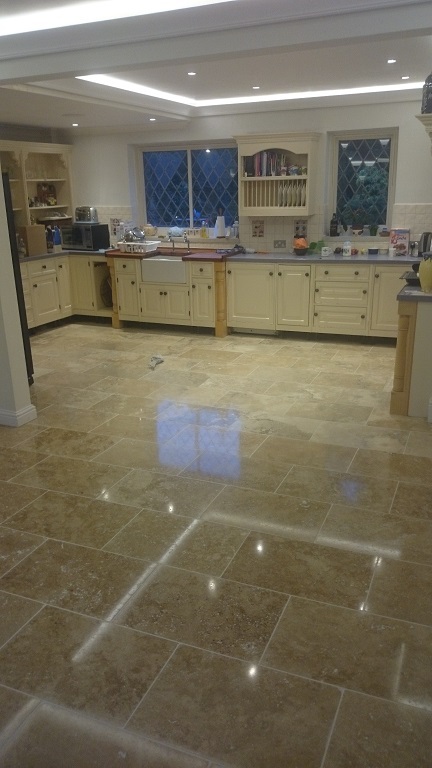 There is a huge difference in cleaning natural stone flooring and cleaning carpets or wooden floors which is why Bond Stone Cleaning ONLY clean, polish and restore natural stones like Marble, Travertine, Limestone and Slate etc. Please select the type of natural stone you have need restoring for more details. Natural Stone cover: Marble, Travertine, Limestone, Sandstone, Slate, Terrazzo, Basalt, Quartzite and Other Natural Stones. Closely linked with natural stone flooring is Porcelain, Ceramic and Quarry tiled flooring these use some of the same machinery and processes. Below are the types of work carried out. 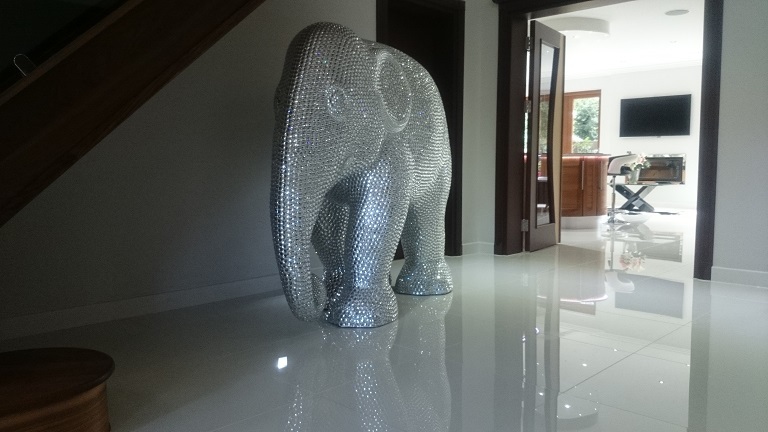 Marble: Marble Cleaning, Polishing, Sealing and Grout Cleaning - With the use of the correct cleaning solutions, resin diamond pad systems and polishing powders all marbles can be made to shine like they used to. 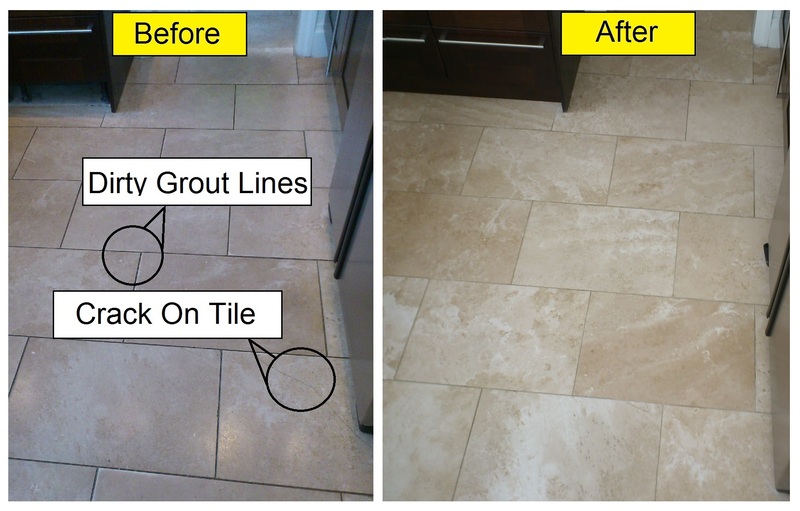 Travertine: Travertine Cleaning, Polishing, Sealing and Grout Cleaning - Using the right cleaning products, and the correct flexible diamond pad system to re-surface the travertine, then using grout brushes for the grout lines, and finally using the right seal Travertine floors can be made like new again. 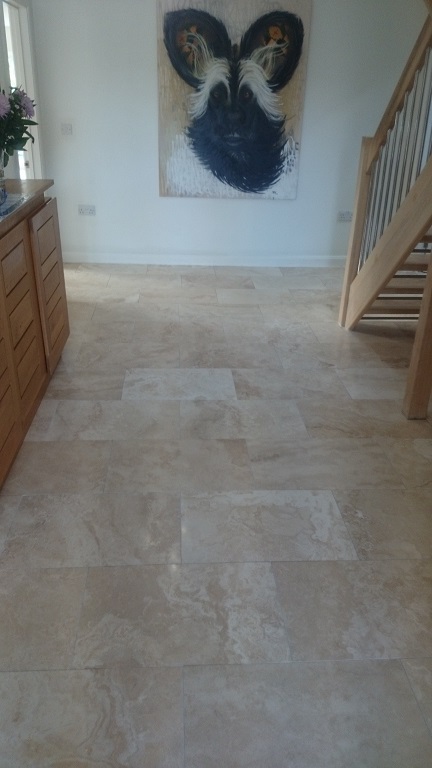 Travertine give the best transformations in stone you will see. They can be left honed or highly polished. 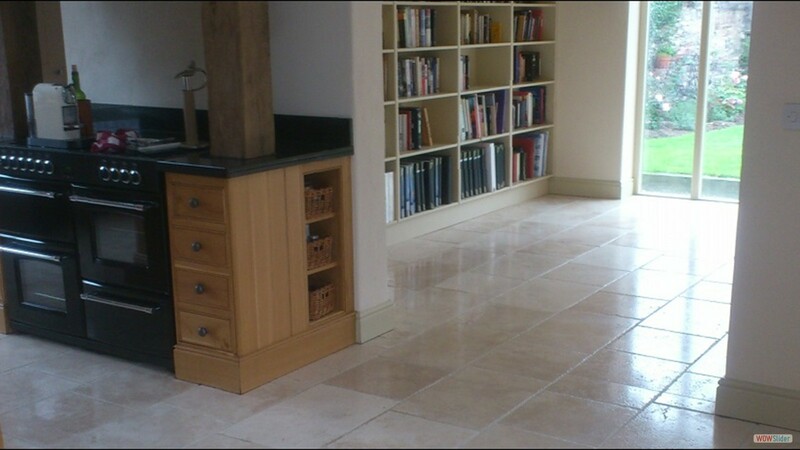 Limestone: Limestone Flooring can be cleaned, polished and sealed back in to good condition. With the use one, of a variety of, diamond pad systems the surface can be brought back to how it should be, then with the correct seal and finishing processes it will stay that way for longer. 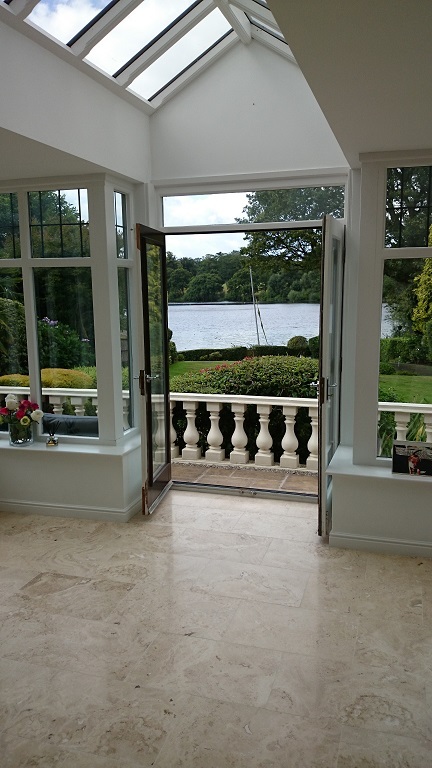 Dealing with both residential and commercial stone work takes a variety of processes and solutions, each system is tried and tested and there is no unhealthy connection to any one brand or system, this enable the best results for your stone floors. Types of work undertaken include: Marble cleaning, marble diamond polishing, marble polishing, marble re-polishing, marble repairs. 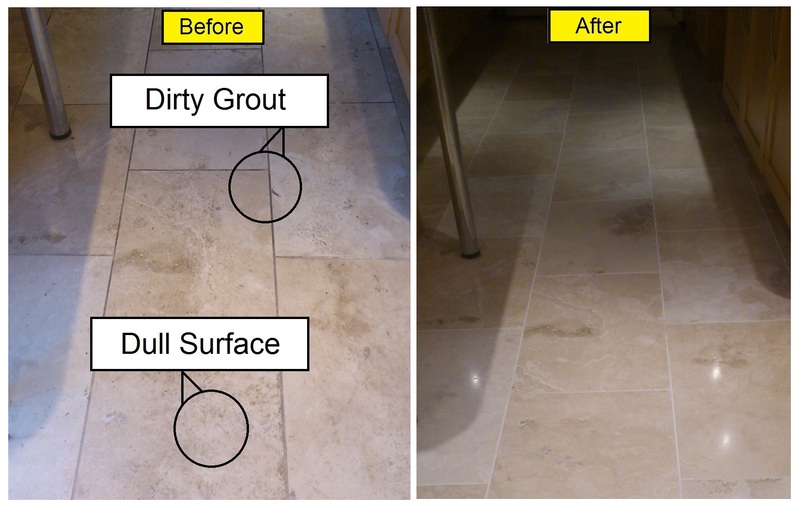 Travertine cleaning, travertine polishing, travertine re-finishing, travertine repairs, hold filling. 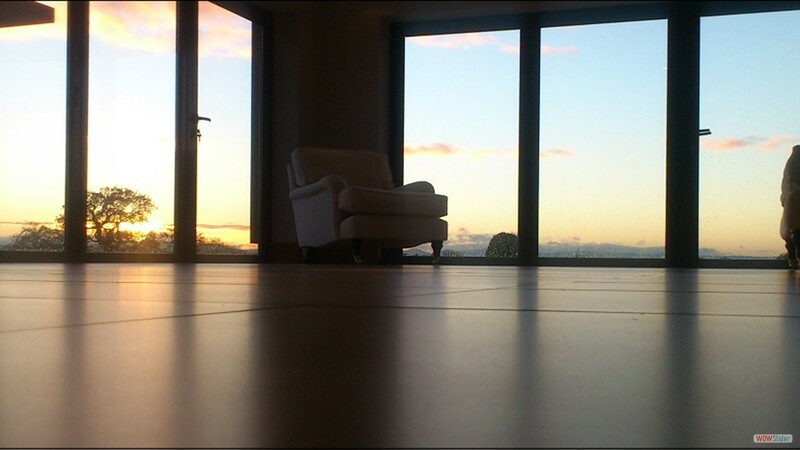 Limestone cleaning, limestone polishing, limestone refinishing. Slate cleaning, slate sealing, slate refinishing. 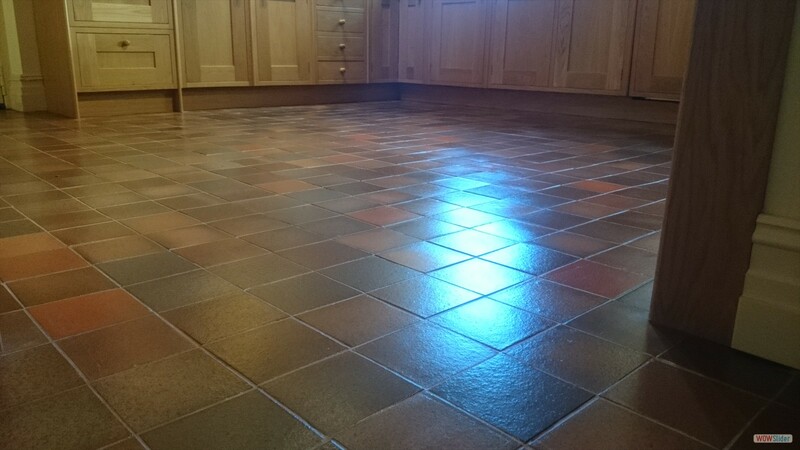 Other services include: Natural stone floor repairs and replacement of damaged tiles, re-grouting and lip removal. 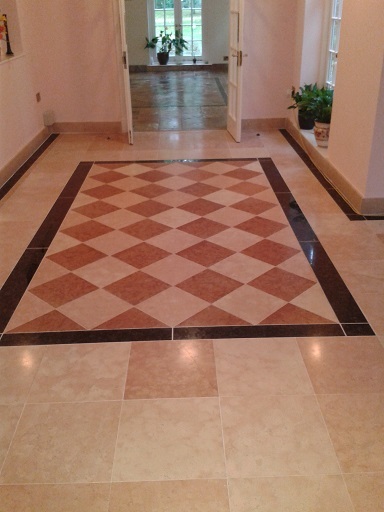 Experienced in types of Natural Stone cleaning, restoration and polishing. 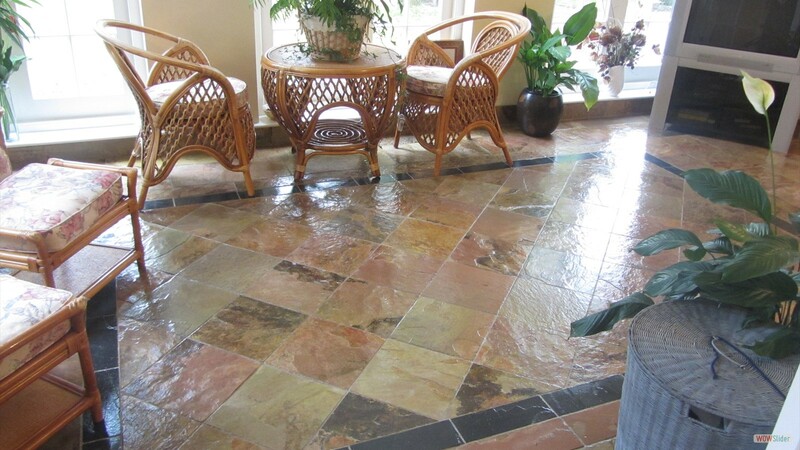 Areas of stone use covered are: Kitchen floors, tiles floors, bathroom floors, bathroom walls, shower areas, swimming pools, swimming pool tiled floors, hallways, dining room floors, lounges etc.